HIGH The utterly perfect webslinging mechanics. LOW The usual open-world busywork. WTF A weird fixation on pigeons. The webslinging in Spider-Man is absolutely incredible, and Insomniac wants everyone to know it. 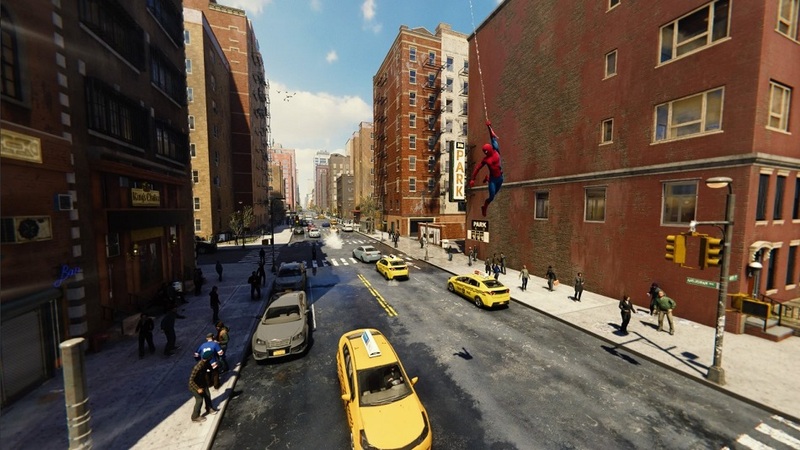 Within a minute of starting a new game, players are already in full control of Marvel’s wall-crawler as he flings himself over the streets of Manhattan. From that moment until the roll of the credits, it never stops being exhilarating. The slight rumble in the controller when the web tightens, the tilt of the camera when banking around corners, the seamless manner in which Spider-Man’s kicks and flips blend together – it all looks and feels perfect. 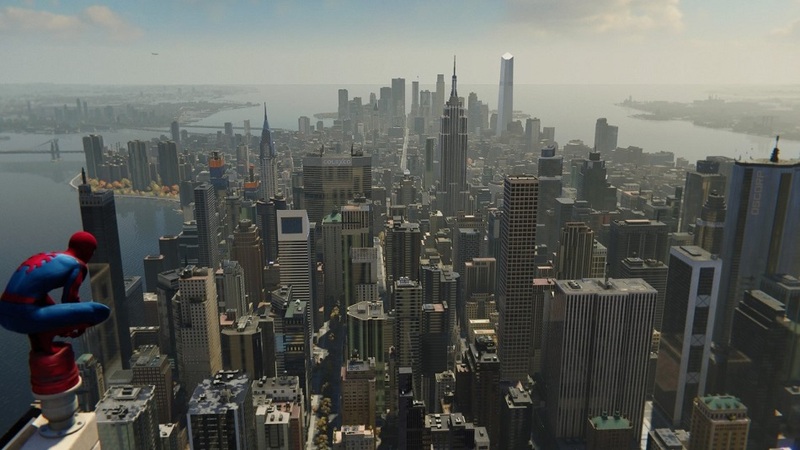 It’s so good, in fact, that I’d often swing around the city for long stretches of time before realizing that I wasn’t even going anywhere – that I was just basking in the pleasure of Spider-Man’s central traversal mechanic. This may be the first open-world game in history where I scoffed at the inclusion of a fast-travel system. Who would rob themselves of one of the year’s basest joys? Insomniac, of course, is not the first developer to capture the sheer thrill of being Spider-Man. Treyarch did it back in 2004, when they all but invented the superhero sandbox genre with the videogame adaptation of Spider-Man 2. Rockstar had only just taught us that games didn’t need to be constricted to corridors, and then Treyarch demonstrated that they needn’t be limited to two axes, either. 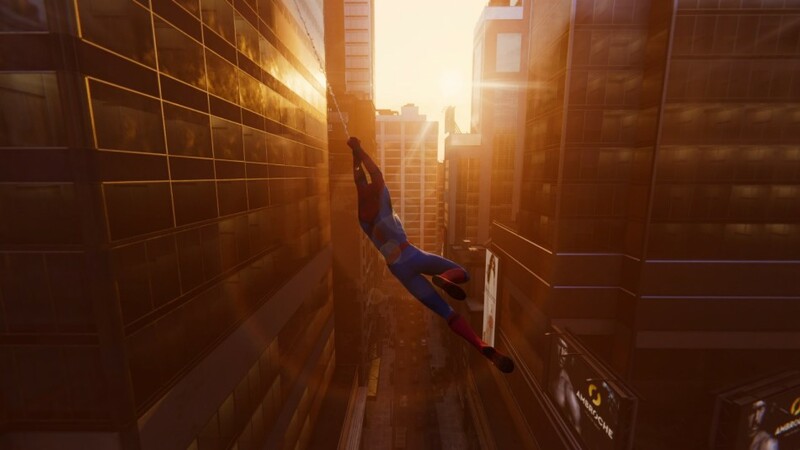 Freely swinging about that city was such a fresh experience that it clouded the realization that Spider-Man 2 was otherwise a pretty mediocre title, and no Spider-Man game since has really attempted to raise the bar until now. What makes Insomniac’s work here significant isn’t that they got the webslinging right. It’s that they got everything else right. They’ve pulled it off by taking obvious cues from a certain other superhero success story – Rocksteady’s Arkham series. It’s evident in many of Spider-Man’s individual mechanics, like grappling to a higher surface with a single press of a shoulder button, or the ledge takedown move where the hero strings an enemy up from above. In other spots, it’s less subtle – in particular, there’s a drug-induced hallucinatory sequence in which Peter encounters a massive version of the villain who poisoned him, a clear echo of Arkham’s Scarecrow sequences. Insomniac still finds ways to inject their work with Spider-Man’s unique brand of energy, though. At first glance, this seems to be one of a thousand third-person action games to copy Arkham’s melee combat system, wherein large groups of enemies are controlled with quick flurries of attacks and counters. The difference is that while I could survive battles in the Arkham games with just my fists, Spider-Man forces players to use every tool at their disposal via massive enemy hordes and their unwillingness to attack Peter one at a time. I can web a thug to a wall, yank a gun out of another’s hands from afar, dodge a rocket and then sling it back, all within the span of a few seconds. In fact, the combat scenarios unfold at such a quick pace that when I successfully juggle this many gadgets and abilities at once, it almost feels accidental. But that’s kind of the point, isn’t it? Although Peter is brilliant and capable, he lacks the polish of the Thors and Captain Americas of this universe. Though fluid and acrobatic, Spider-Man’s combat is also messy and imprecise in a way perfectly befitting of the character. We’re given amazing powers and we’re still barely squeaking by. 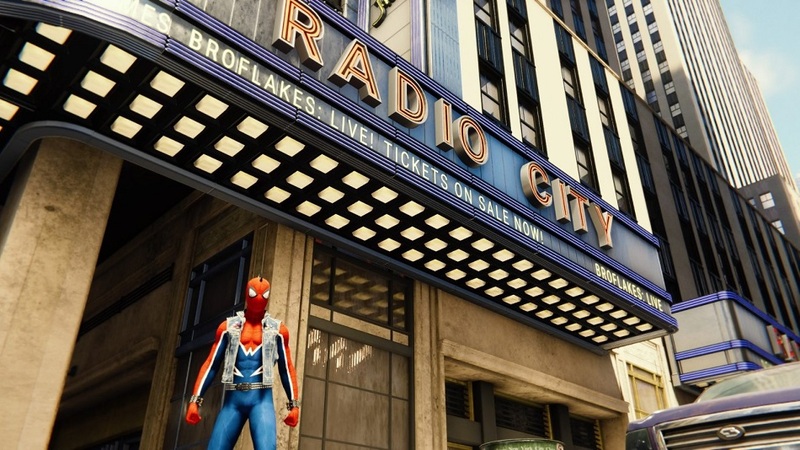 Despite how well Insomniac understands Spider-Man as an action hero, their more surprising feat is that they understand Peter Parker as a person. 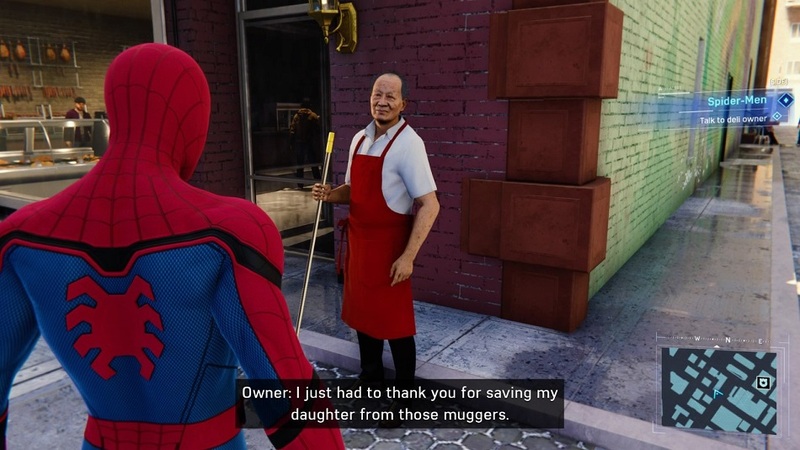 Juggling the responsibilities of being a superhero with the desire to have a normal life has always been a running theme with this character, and the developers wisely sideline the franchise’s cartoonish villains for most of the campaign, instead focusing on Peter’s efforts to maintain healthy relationships with Aunt May, MJ, and others. Against all odds, a game with characters called “Mr. Negative” and “Shocker” delivers some of the year’s most human moments. A scene depicting a text conversation between Peter and MJ will ring distressingly true to anyone who’s miscommunicated with a significant other during a rut in the relationship. Spider-Man also features one of the 2018’s strongest endings, breaking the status quo in service of tying together the story’s themes in a satisfying way. This all counteracts the one hard truth behind Spider-Man – that this won’t be the sandbox game to win over people who don’t like sandbox games. 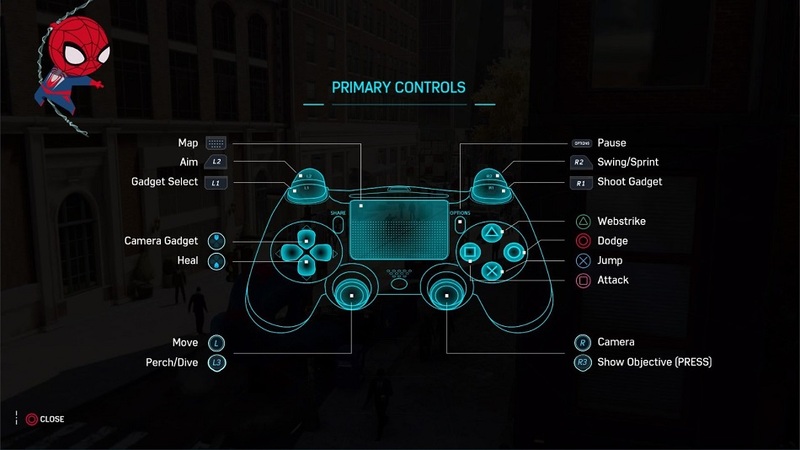 Though the campaign is full of roaring set pieces, Insomniac frequently forces players to partake in a checklist of busywork, and the rewards for stopping crimes or gathering collectibles all manifest as arbitrary “tokens” used to upgrade equipment. In terms of structure, this could easily be mistaken for an Ubisoft joint. Disclosures: This game is developed by Insomniac Games and published by Sony Interactive Entertainment. It is currently available on PlayStation 4. This copy of the game was obtained via retail store and reviewed on the PlayStation 4. Approximately 35 hours of play were devoted to the single-player mode, and the game was completed. There are no multiplayer modes. Parents: According to the ESRB, this game is rated Teen and contains Blood, Drug References, Language and Violence. For the most part, the action here is comparable to what one would find in a typical superhero movie – plenty of punching and shooting, but very little blood. The only thing out of the ordinary is a rather harrowing terrorist attack roughly a third of the way through the campaign. It contains no graphic imagery, but it’s nevertheless more chilling and realistic than one would expect in this sort of romp. Deaf & Hard of Hearing Gamers: Subtitles are available for all dialogue. The game offers both multiple font sizes and the option for a colored background to make the text easier to read. Audio cues aren’t integral to the game in any way. I did hours of side missions while listening to podcasts and had no trouble. It’s fully accessible.